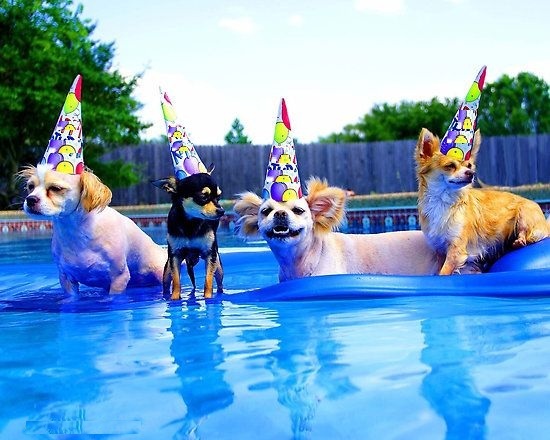 Hosting a party for your pet is same like throwing one for a child. There will be lots of noise, excitement, party games, food, cake etc. You need to invite the dogs that your dog knows and plays with them on a regular basis. Don’t forget to invite their human companions. You need to ask about the allergies or dietary restriction of a dog to the owner. So, that you can get ready with everything to keep things running smoothly on the labor day party for dogs. It will be a good idea to let the 4 legged furry pals greet outside the neutral territory, to give the doggies a quick greet and sniff to get the party started. After they greet, let all the dogs walk in a park or fenced yard and release. It is obvious and natural, that they will spend some time to mark their territory. You can play games, as this can be the best way to make both dogs and human companions happy and entertain. You can arrange games such as a musical chair for dogs, have a dog fashion show, keep a contest of sit, stay and shake-a-paw, etc. In this way, you can involve both the dogs and their owners in these games to enjoy and have fun. Make sure to tell the owner about the dog foods, so that they can give the suitable food to their dogs with allergies or as per the required dietary needs of their pooches. Keep plenty of water bowls filled as there will be many dogs. Make a point to keep the dog and human food counters separated. This is the most important part of hosting a party and allowing your furry pal to play with other dogs. You need to give the flea and tick preventative treatments to your pet. So, that he doesn’t become a host for fleas and ticks for the other dogs as well as doesn’t get parasitic infestation. To help your party to be successful and affordable, we at Pet Care Supplies offer you trusted products online. We have a wide range of branded products for fleas and tick, wormers, joint care, skin, and coat. We also offer a broad spectrum of ophthalmic, aural and dental care products for the routine health care of canines. 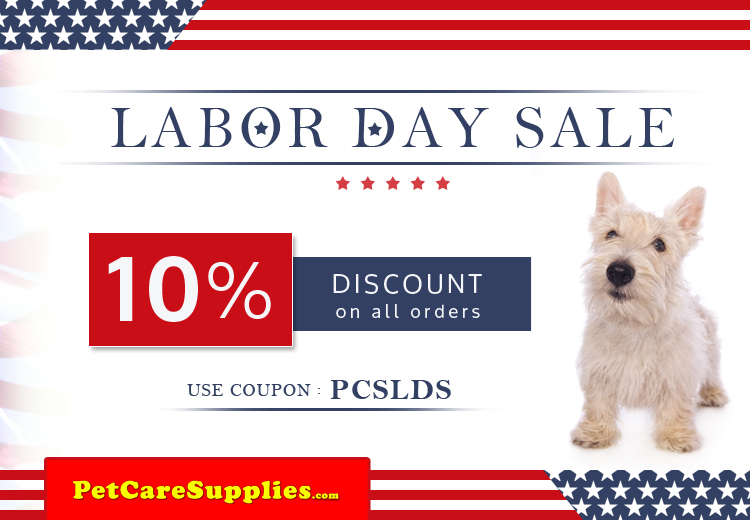 Let’s make your pooch’s party full of enjoyment on this Labor day with our Weekend Sale having 10% Discount on all the products by using this coupon code – PCSLDS you purchase from Pet Care Supplies. Make this 10% Off Deal as a part of safety for your furry pal and safeguard him from pests and worms by giving him a monthly preventative before hosting a Labor Day party and making a big success for your dog.